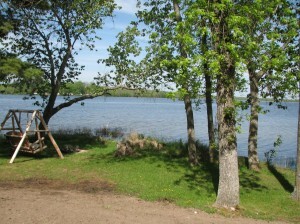 Plan Your Minnesota Family Summer Vacation! This adorable girl took her first steps just last year while on vacation at Wildwood! 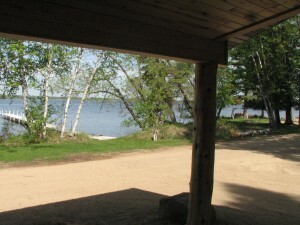 Running a Minnesota resort is a weird kind of existence…fun but weird. To get open for the summer season we usually have about 5 minutes to get 5 weeks of work done. Kind of like sprinting the first 10 miles of a marathon! 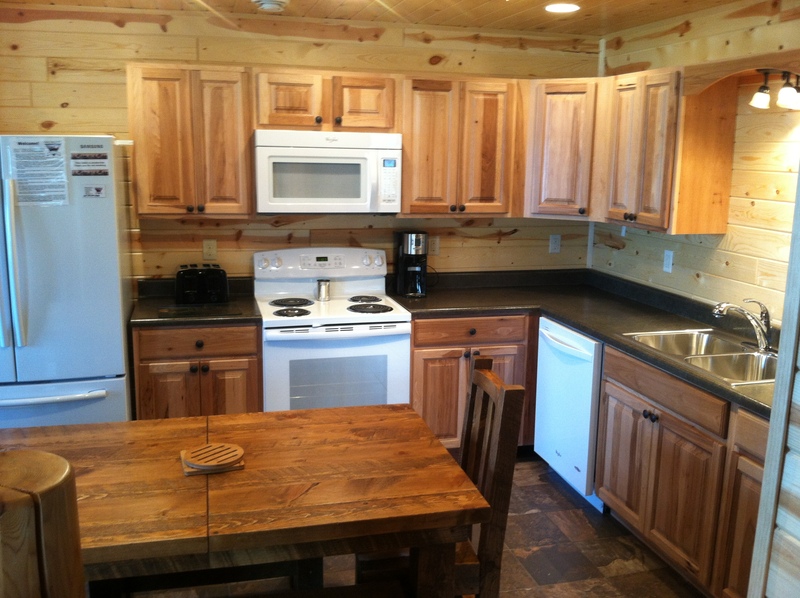 This year we added a significant degree of difficulty to our “sprint” with the added work of getting our four new cabins ready for our guests. I would love to say that we achieve our opening every year with grace and style but in reality it usually happens in a cloud of chaos with a touch of panic and some hysteria sprinkled on top. Sounds fun, right?! Well, honestly, it kind of is fun…at least it seems fun once the guests start arriving. Their joy at returning to this place they love and their appreciation for our efforts is like a shot in the arm. It boosts our spirits to remember that the blessing of our life here is the people that Wildwood brings into our world and we derive an incredible amount of pleasure in seeing them enjoy our family resort! 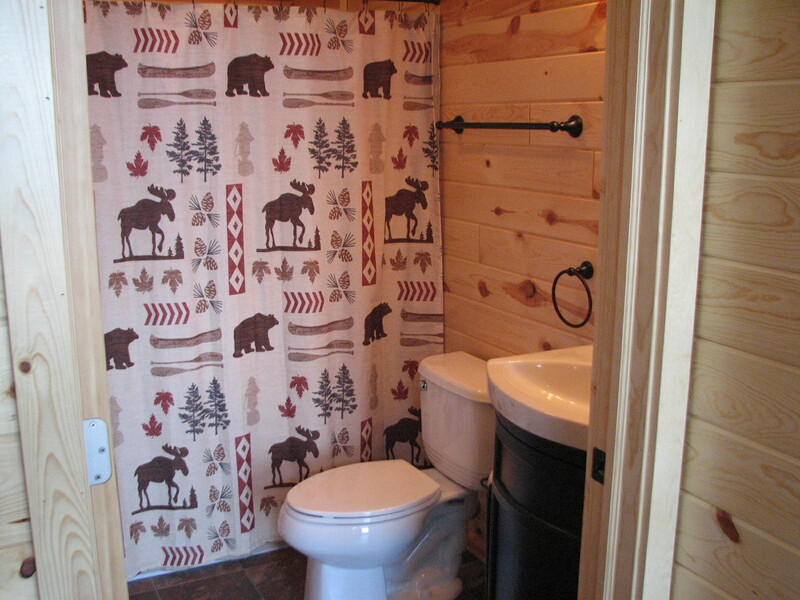 This year we have much to share as we welcome guests into our newest cabins! It’s hard to believe that the cabins are done and we feel so grateful for the opportunity to have completed a project that we’ve dreamed about for all of our 16 years here. I love each one for the unique and wonderful qualities it possesses so bear with me if I’m a little too effusive with my descriptions here. I’m sure I’ll calm down about them in a decade or so…. Aspen Lodge turned out to be everything we hoped it would be. It is cozy and welcoming and still sits on the best piece of our property! 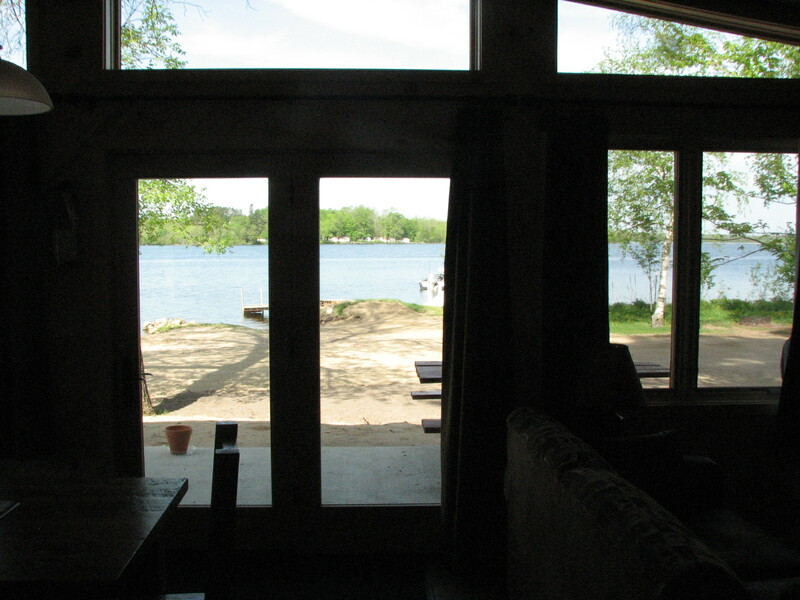 The lake view is the same as it always was, however, now guests can enjoy the amazing view of Bass Lake from inside the cabin. 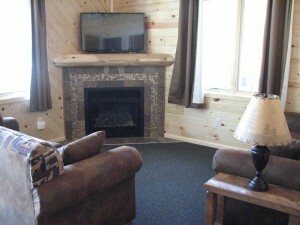 Like all of our cabins Aspen Lodge has cable TV and free Wi-Fi as well as conveniences like a dishwasher and gas grill. The front wall is loaded with windows which brings in tons of natural light and the patio outside is perfectly sized for enjoying our beautiful Minnesota summer! 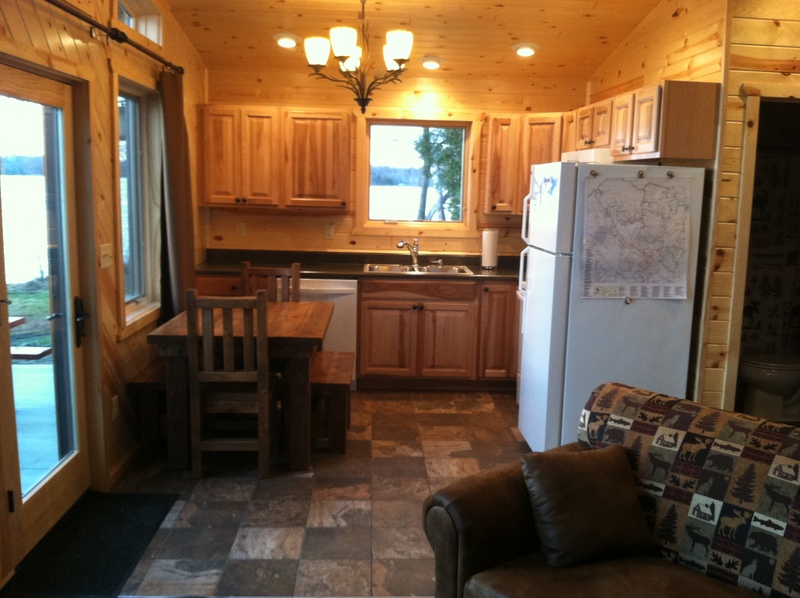 This year round cabin is perfectly sized for 4 and perfectly situated to make your Minnesota family summer vacation the best ever! 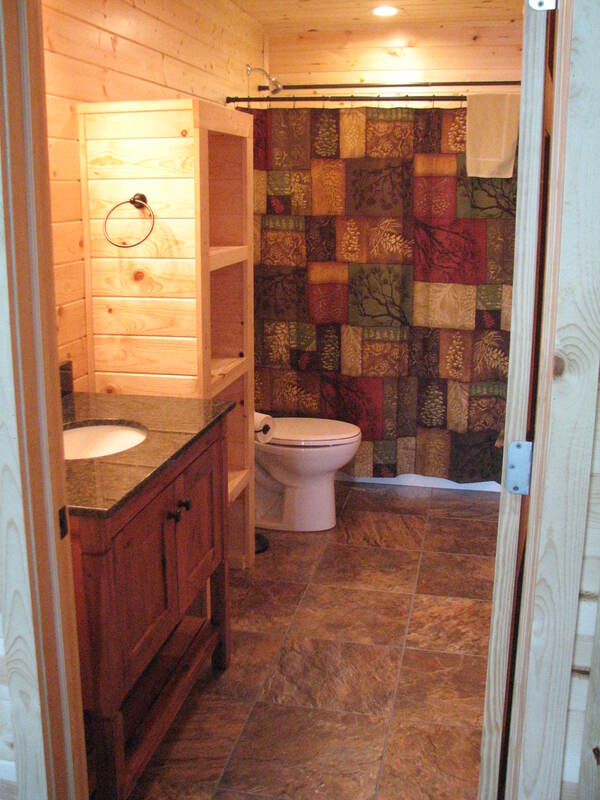 Cedar Lodge also turned out beautifully. The size is absolutely perfect for a two bedroom cabin and its location right on the beach is fabulous for keeping an eye on the kiddos as they play on the beach. 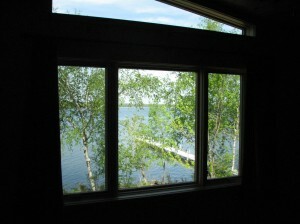 Again we planned a wall of windows so the natural light is wonderful and the lake view is outstanding. 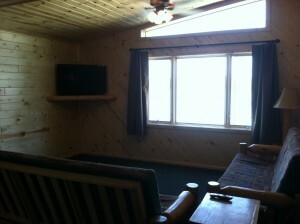 The cabin is sized for up to 6 people with two king beds and a pull-out sofa in the living area. The patio on the front of the cabin is going to be a wonderful place to watch the sun set each night and is perfect for outdoor living while on vacation! 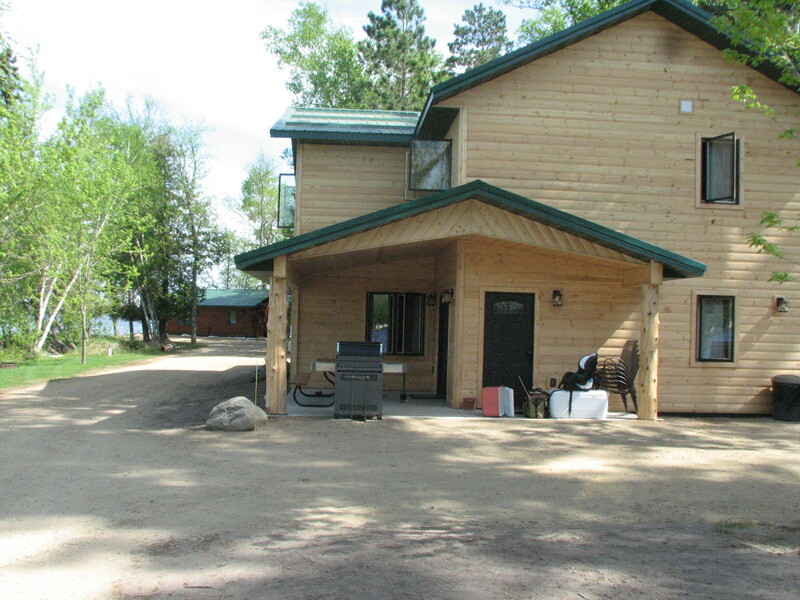 We still have a rare July opening (July 12th week) for Cedar Lodge as well as a few August openings so if you haven’t planned your MN family summer vacation yet we hope you will consider Wildwood Resort! 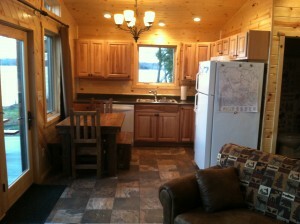 Oak Lodge will get stained next week! 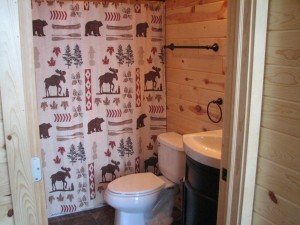 Oak Lodge is probably the most intriguing to me of the new cabins. We’ve never had anything like it at Wildwood so each time I walk into it I’m stuck by the possibilities we now have with such a unique lodging opportunity. If we had been able to build two separate cabins we certainly would have done so. But with our land constraints building the unit as a duplex was the only option. And now that it is up I have to say that I LOVE the way Jay’s design turned out! He managed to make the outdoor living areas completely separate allowing for privacy between the units even when everyone is outside. 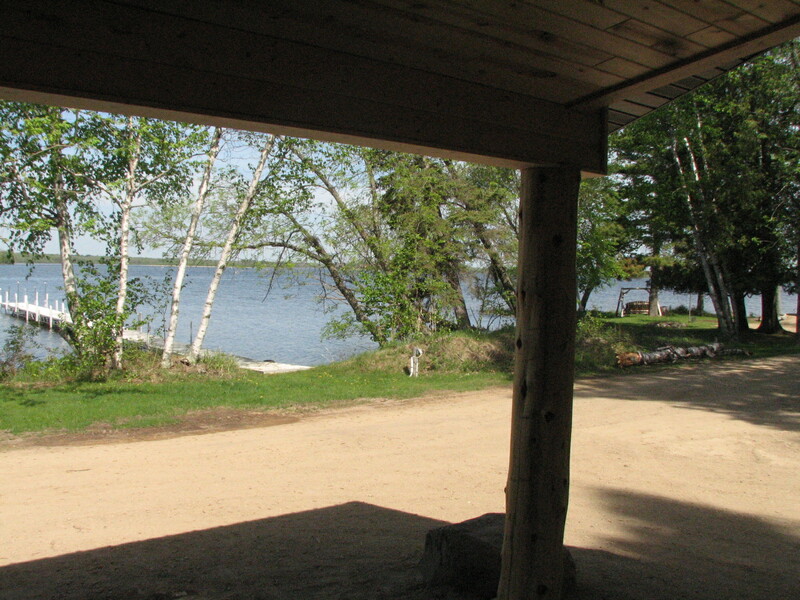 He also was able to recreate the covered patio concept which has been so popular with Basswood, Tamarack and Riverbirch. 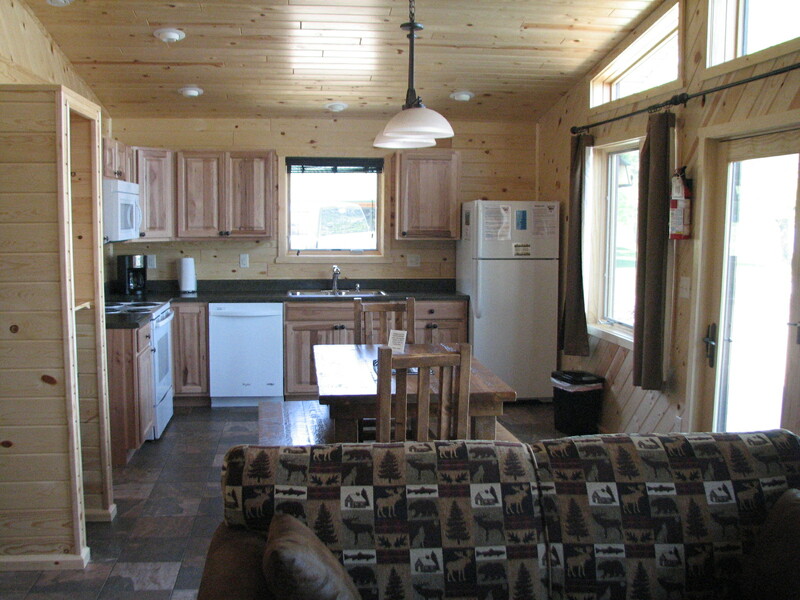 We are looking forward to having a 6 bedroom option to offer guests and think our snowmobile groups, ice fishing guests and family renunion groups will appreciate the size! Oak Lodge is still available to rent the week of August 16th. 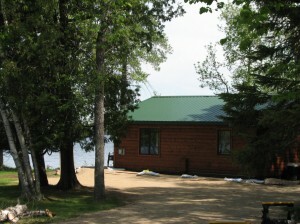 White Oak Lodge is the southern side of the Oak Lodge duplex. With 3 bedrooms, 2 full bathrooms and a second (spacious!) living area upstairs it will accommodate up to 8 people. 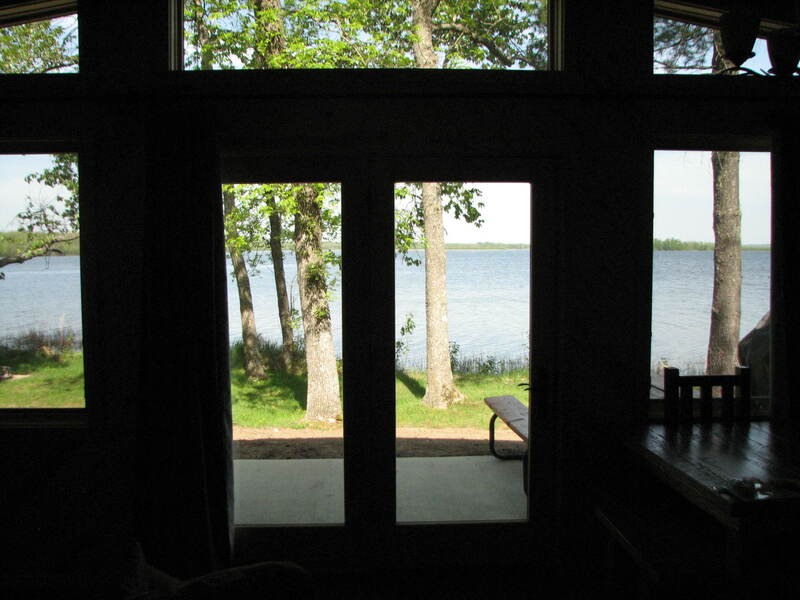 The covered patio offers a beautiful lake view and a good view of the beach and, best of all, it allows our guests to chance to enjoy the outdoors even on a rainy day. I’m completely in love with the lake view offered from the second floor living area. It is simply amazing! 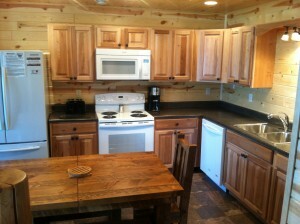 White Oak Lodge is still available to rent the week of August 16th. Red Oak Lodge is the northern side of the Oak Lodge duplex. 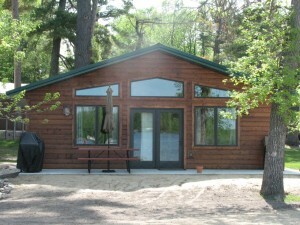 It is the mirror image of White Oak with 3 bedrooms, 2 full bathrooms and the same HUGE living area upstairs. The second living area is going to be the perfect place to send the kids to watch their TV and movies so the adults can enjoy some adult TV (Weather Channel, anyone?!) or just some peace and quiet. The outdoor living area has an amazing view of Bass Lake with a little more quiet and private outdoor area than White Oak. And, again, the covered patio adds comfort and outdoor living even when the weather is less than perfect. Red Oak is open the week of June 14th (we are offering a Hot Deal on that week!) and the week of August 16th so you can still plan for that family summer vacation you’ve been thinking about! 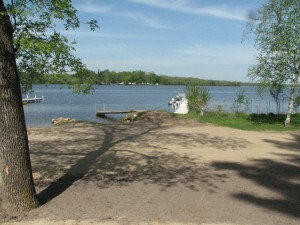 I think the Grand Rapids, Minnesota area is a perfect place for planning your Minnesota family summer vacation! And while I’m pretty biased about our great community I think the local Calendar of Events backs up my opinion. June is packed with great local events like the 75th anniversary of the Wizard of Oz celebrated at the Judy Garland Festival and the High Lifter Quadna Mud Nationals as well as cultural events like the Reif Dance Spring Show (don’t forget that we offer great ticket prices through our relationship with The Reif Center) and the First Friday Art Walk. 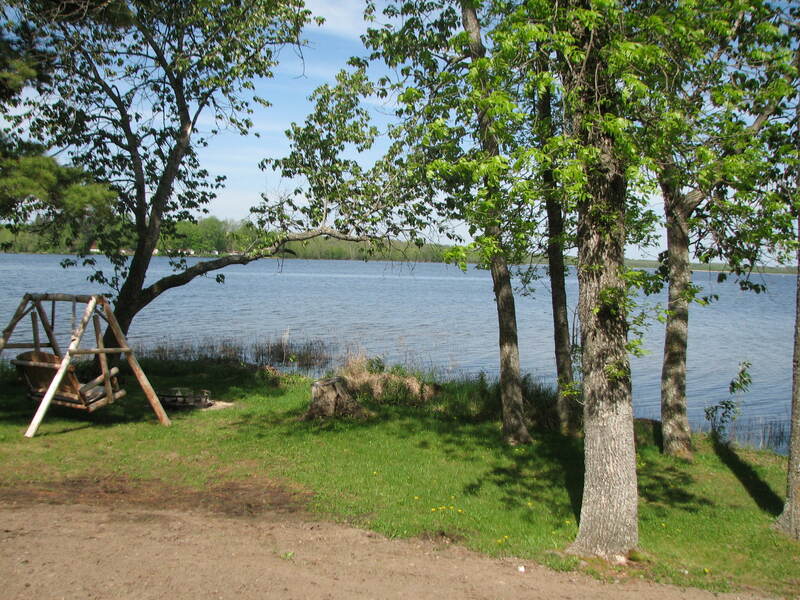 There is simply something for everyone in our lovely part of Minnesota from arts to activities to amazing natural wonders! 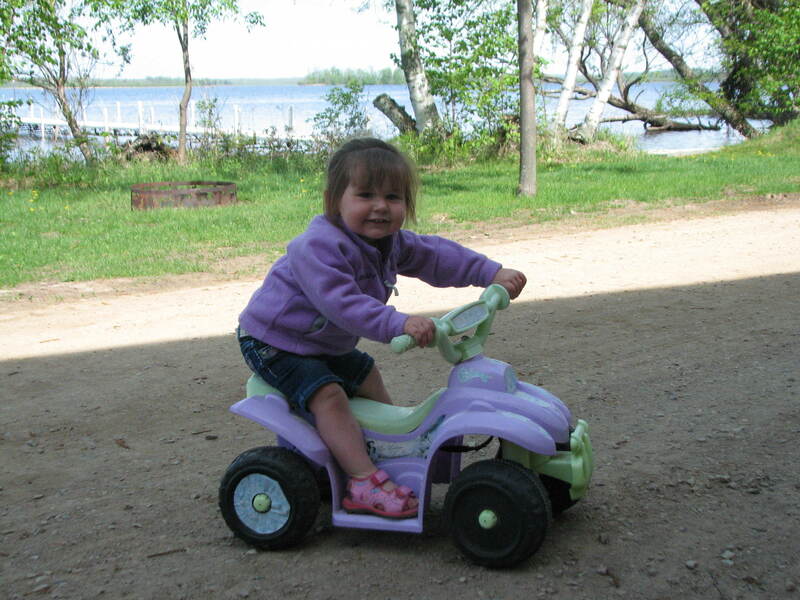 Give us a call or drop an email today to start planning a Minnesota family summer vacation at Wildwood Resort! WOOHOO! Summer has finally arrived!! The view from Aspen’s patio is beautiful! 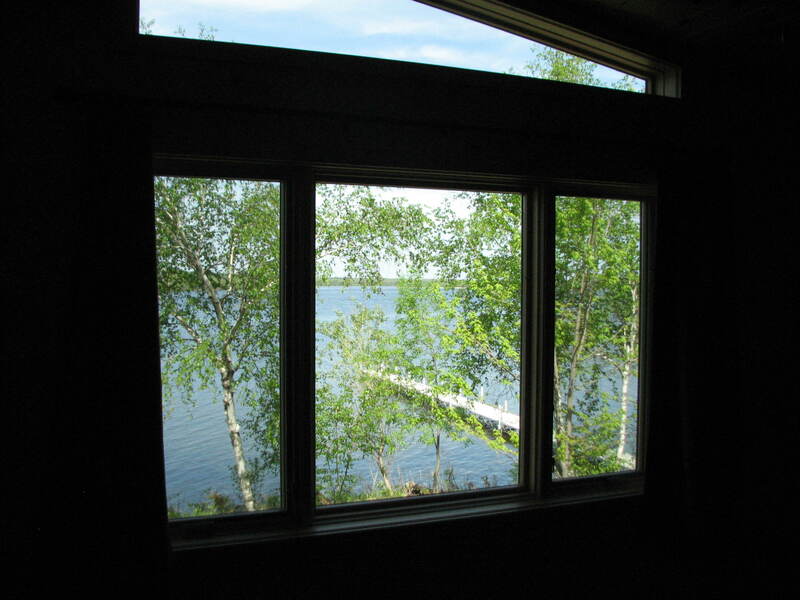 The lakeview from the upstairs of Oak Lodge is amazing! The upstairs living areas in Oak Lodge offer a great place to send the kids for TV or movies!